JAGUAR CONCEPT ROSE GOLD FOUNTAIN PEN The Jaguar Concept features cutting edge design with rose gold accents. Concept, Jaguar’s first pen collection, makes a bold statement about the design correlation between writing instruments and cars of the future. The Concept captures the essence of the new Jaguar XK model with its flowing, aerodynamic lines, beautiful proportions and tactile appeal. The aluminum body is treated with multi-layered, high-depth lacquers with extra glossy finishes in authentic Jaguar colors of Ebony and Ivory. A super-sleek, beveled-edge clip points to the Jaguar emblem embossed on each pen. The clip, grip and bands are upgraded with the handsome, new rose gold plating. Wide, tapered barrels bring sheer pleasure and performance to your writing. The fountain pen has a large, polished stainless steel nib plated in rose gold and engraved with the Jaguar “Leaper” logo. 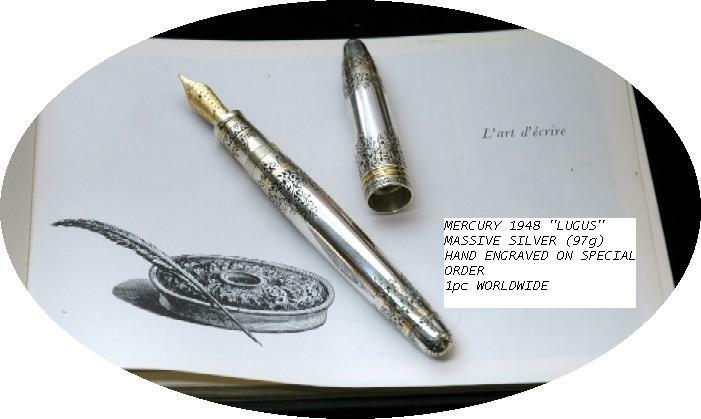 The Concept series also includes a capped rollerball, and a ball pen and 0.7mm pencil with twist-advance mechanisms. Fountain pen uses cartridges or converter.